There are literally hundreds of ways you can use tax deductions to decrease your overall tax burden. Unfortunately, many people don’t even know these deductions exist, missing out on thousands of dollars in potential savings each year. First, it’s important to actually remember to file your tax return – you have until April 15 to do so or you’ll face a late filing penalty. You may also miss out on the opportunity to receive a refund. In 2009, the IRS got to keep more than $917 million in refunds, since nearly 1 million taxpayers didn’t file their tax returns. The IRS allows you to deduct the cost of preparing your taxes as a miscellaneous itemized deduction, on the return for the year in which you pay them. For example, if this year you spend $300 to prepare your tax return for 2013, you would be able to deduct $300 for your 2014 return. This includes the cost of tax preparation software programs, such as H&R Block or TurboTax, any fee you pay for the electronic filing of your return, tax planning advice, cost of tax-related books or materials, legal advice, fees for a tax audit and more. The phrase “Ponzi scheme” has unfortunately become well known to the public following the Bernard Madoff scandal in 2008, as thousands of taxpayers were affected. 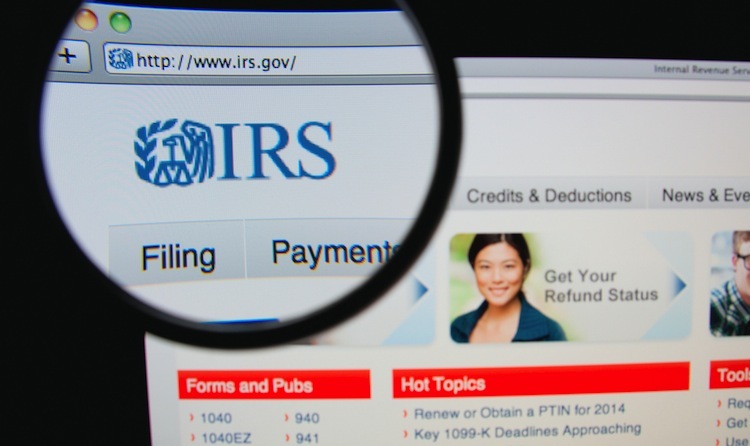 Thankfully, the IRS does offer some relief to the victims of Ponzi schemes. Added in 2009, the IRS says you can claim a “theft loss due to a Ponzi-type investment scheme” on Form 4684. Taxpayers claiming a loss should mark “Revenue Procedure 2009-20” at the top of the form. While all gambling winnings are fully taxable and must be reported on your taxes, gambling losses can be deducted. You can deduct gambling losses only if you itemize deductions. However, the IRS says that the amount of losses you deduct “may not be more than the amount of gambling income reported on your return .” In other words, losses can not exceed winnings. For example, you win $10,000 at the slots machines in Las Vegas, but then end up losing $8,000 on the craps tables. You must still count $10,000 of income on your your 1040, but you can write off the $8,000 in losses on a Form 1040, Schedule A on line 28. It’s important to keep good records of both your gambling winnings and losses, from the date and location, to the amount you won or lost. Make sure to keep all your receipts, because it’s possible you might have to provide records to be able deduct your losses. If you use your car in your job or business, you might be able to deduct its “entire cost of operation,” from mileage, parking fees and tools, vehicle registration, gasoline, car repairs and more. The IRS says you can use a standard mileage rate to figure out your deduction, although you can also calculate the actual costs of using your vehicle instead. It depends on whether or not you think your calculation of the actual costs will be higher than the standard mileage rate. For 2014, the standard mileage rate is 56 cents per mile for business use. So, if you commuted 5,000 miles for work purposes, you’d be able to deduct up to $2,800. For medical and moving purposes, the standard mileage rate is 23.5 cents per mile driven, and for charitable organizations, the mileage rate is 14 cents per mile. Did you look for a new job in 2013? You may be able to deduct the costs of your job hunt. First, the IRS says that your expenses must be spent on searching for a job in your current occupation – you cannot deduct expenses while looking for a job in a new occupation. So, if you’re a nurse looking for a job as a teacher, you’re out of luck. Next, it’s important to know that you can deduct expenses on employment and outplacement agencies, the amounts you spend for preparing and mailing copies of your resumes, and the cost of travel to and from the job. You can also deduct your job search expenses if there was a “substantial break” between the end of your last job and the time you began looking for a new one. Finally, your education expenses during unemployment may be tax deductible, if you stop working for a year or less for your education. Depreciation on home computer used for investments or on a computer your employer requires you to use in your work. Cost of a passport for a business trip. Business gifts up to $25. Medical expenses: the IRS allows only for the portion of expenses over 10% of your adjusted gross income.